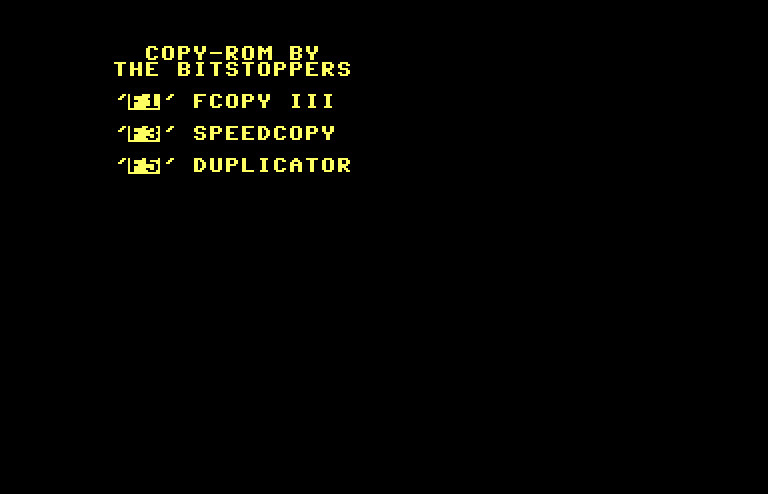 15 Second Copy was "spreaded" (their words not mine) by the Fall Guys and is a fast disk copier. 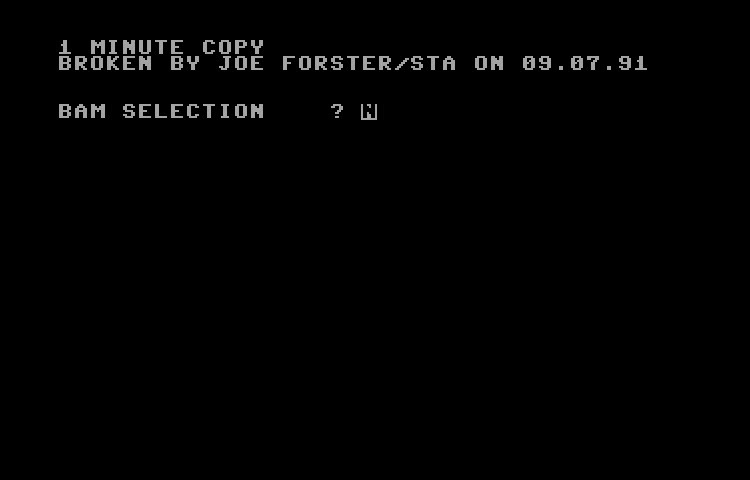 You can enable write verify but it adds 7 seconds. 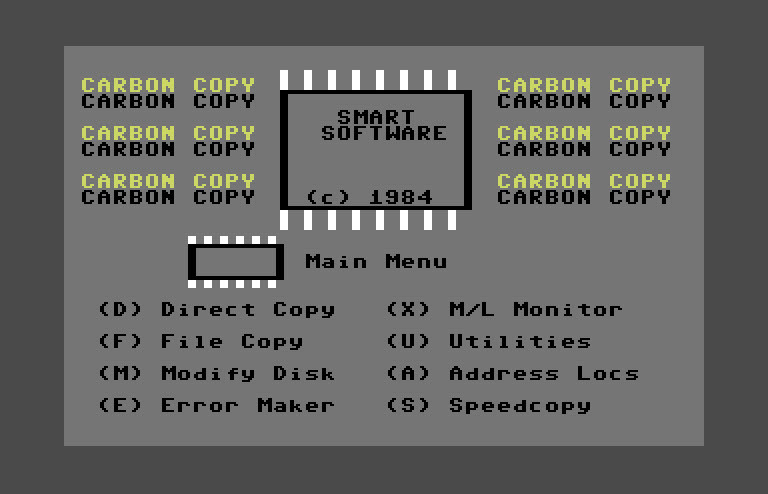 Oh, and this is a 35 track copier. 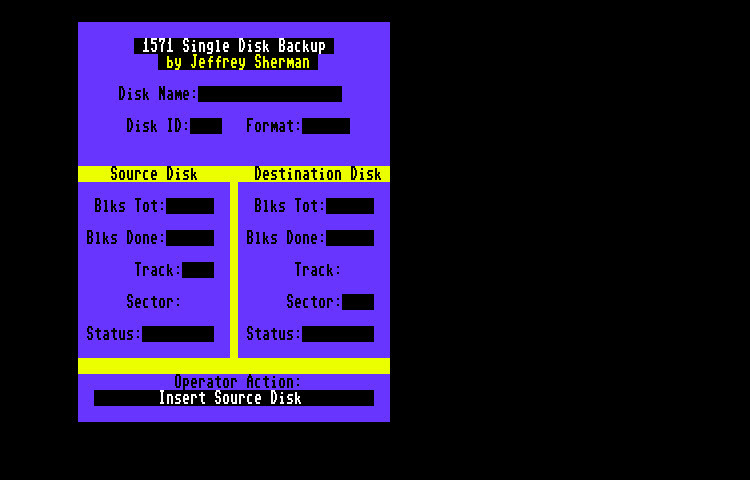 By Jeffrey Sherman. 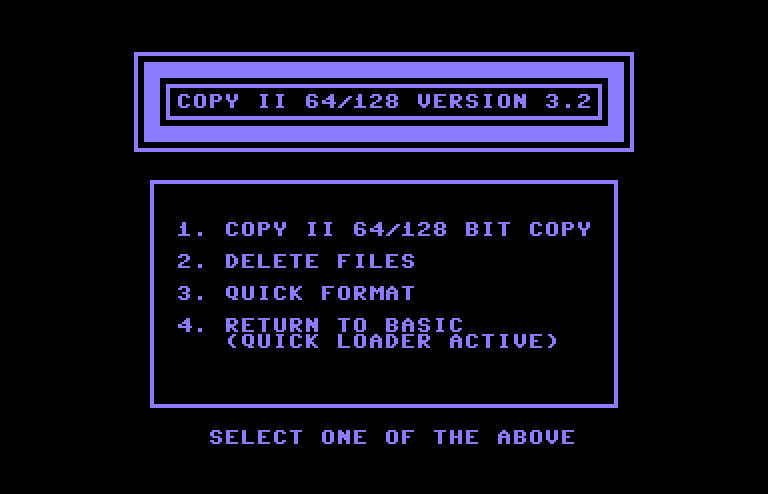 This is a basic full disk copier for the C128 written exclusively for 80 Column mode. 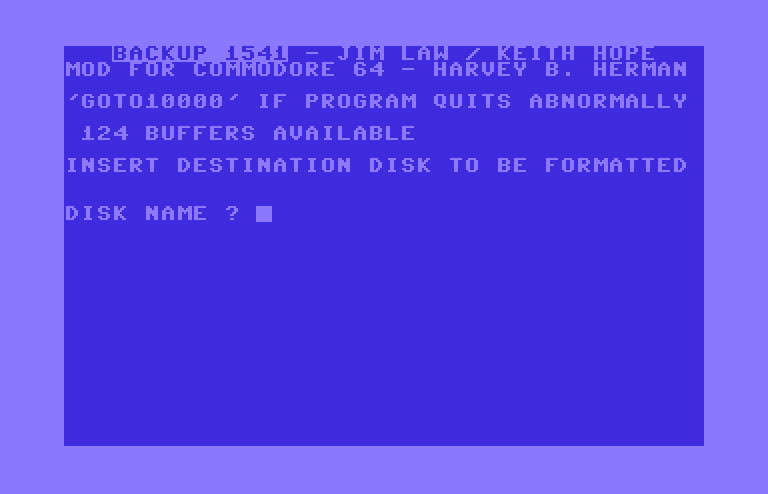 Don't forget to DLOAD the program. 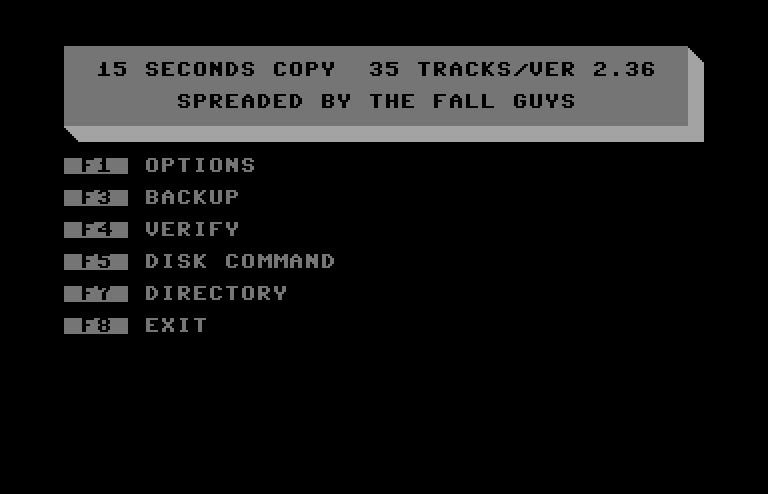 17 Second copier was "spreaded" by the Fall Guys. 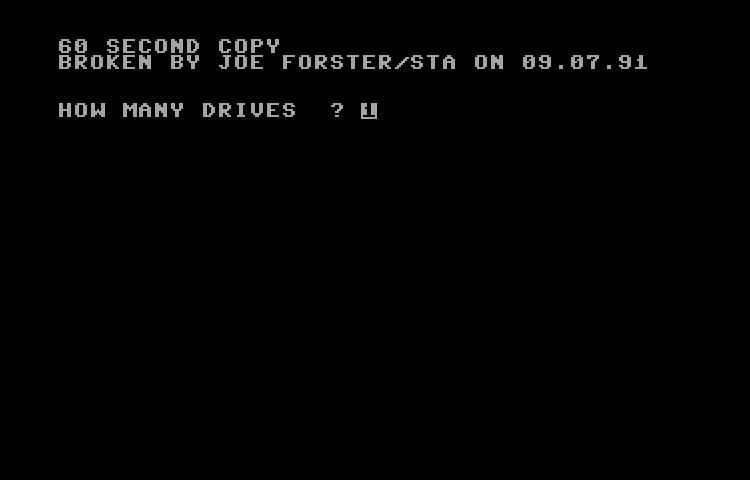 This is a straight forward 40 track disk copier. 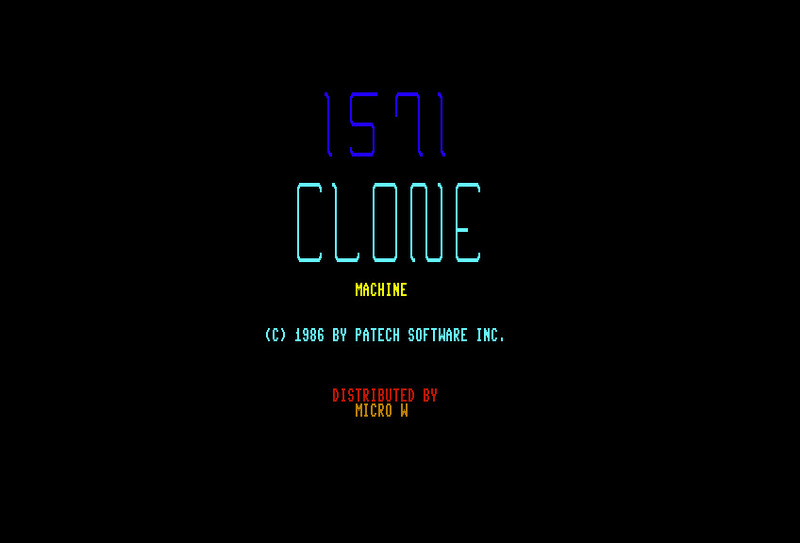 Backup 1541 was written by Jim Law and Keith Hope. 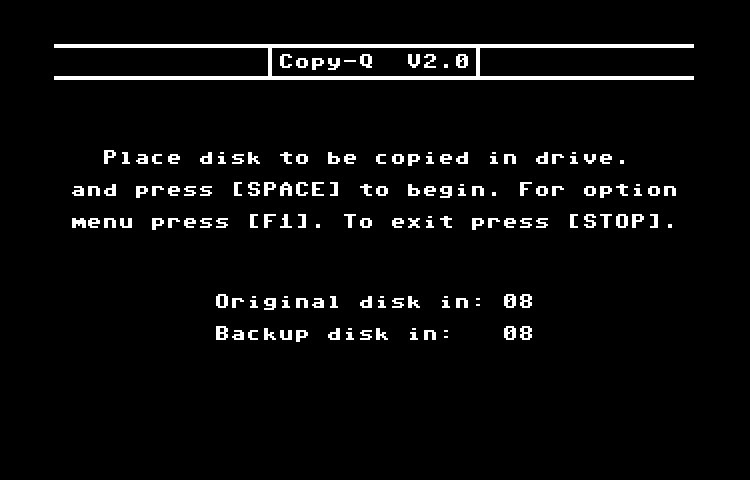 Nice little disk copier with lots of buffer space. 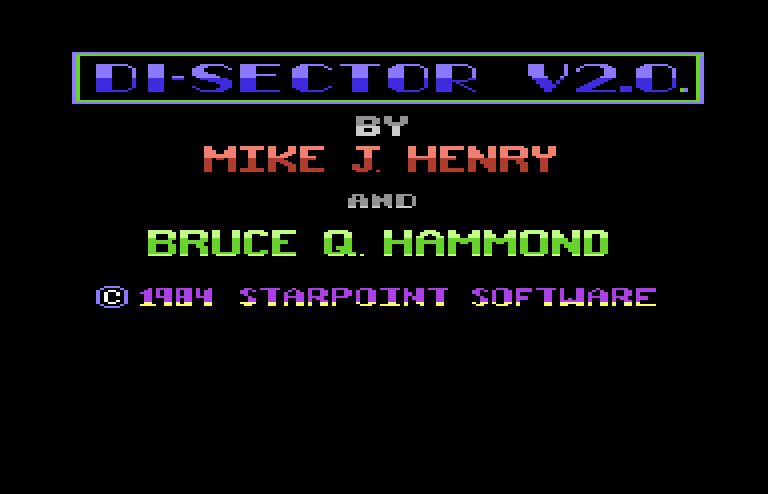 Released in 1986 by The Dynamic-Duo. 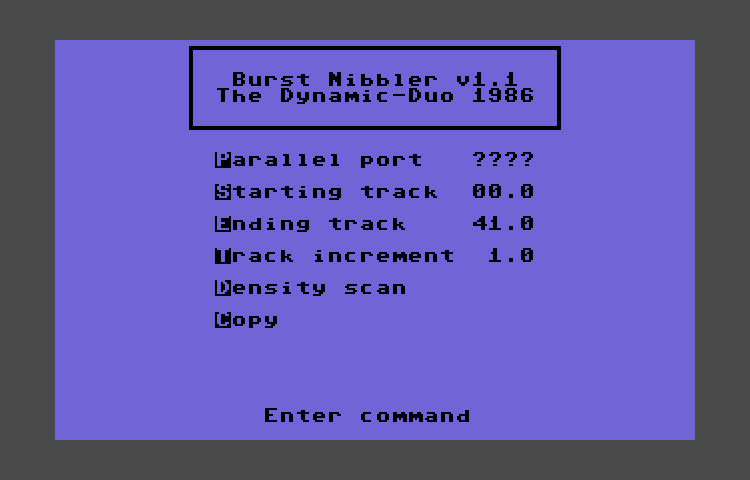 Burst Nibbler is a full disk copier that works with parallel port mods. 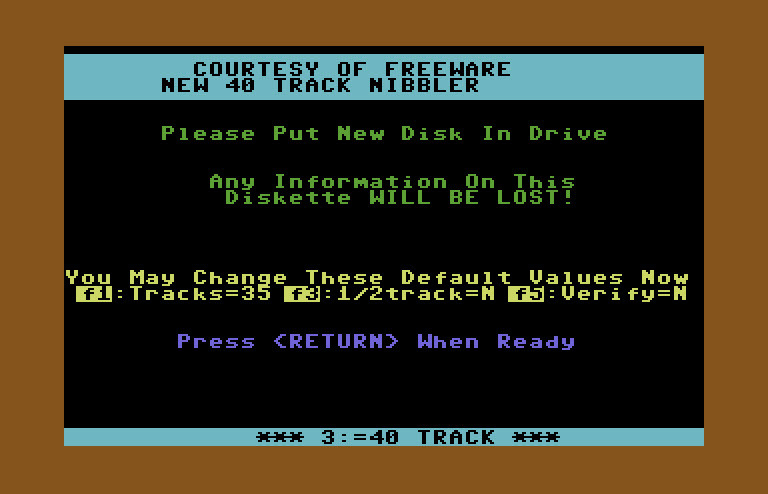 Copies tracks up to 41 with density scan. 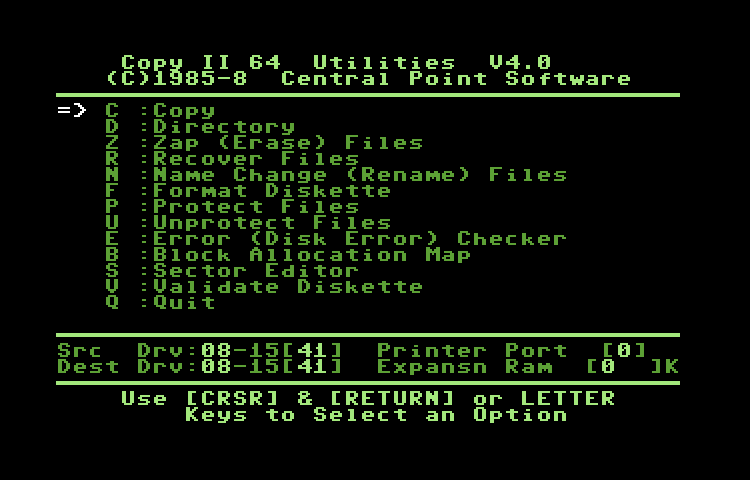 (c)1986,1987 by Utilities Unlimited - C64 Nibcopy is an excellent full disk nibble copier supporting multiple drives and tracks up to 40. 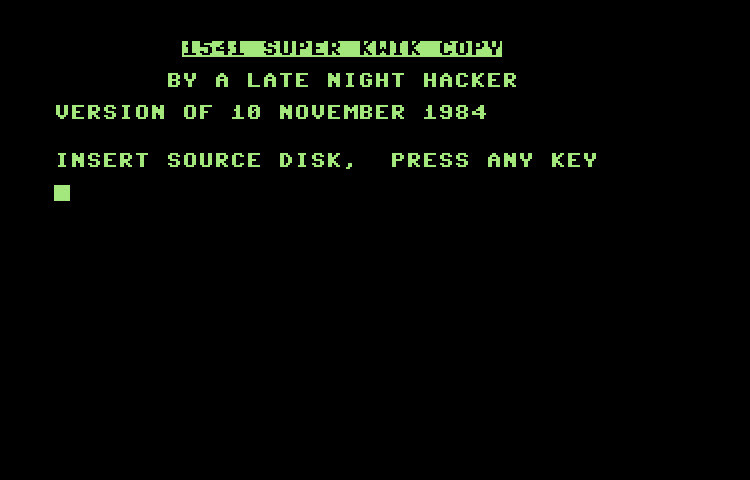 Written by David Fillmore in 1984 and broken by Mr. Nike & Clone Man. 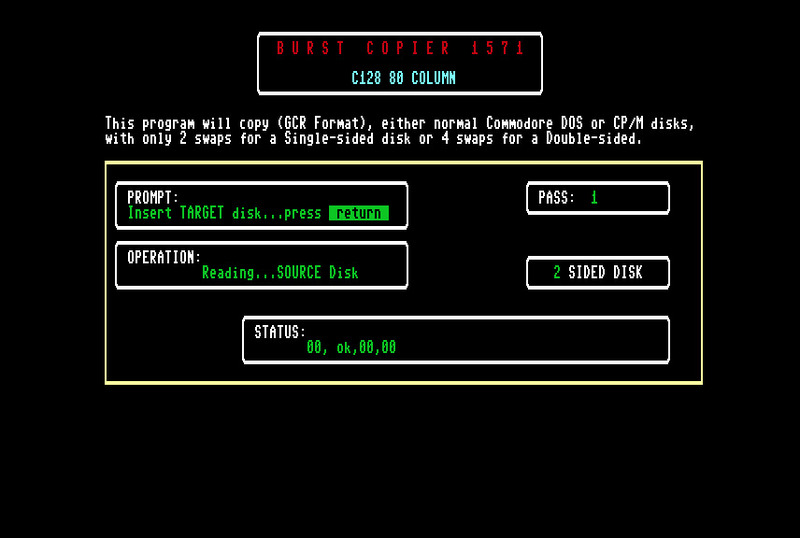 Canada A/M is a full disk copier 4 pass copuer with a nice interface. 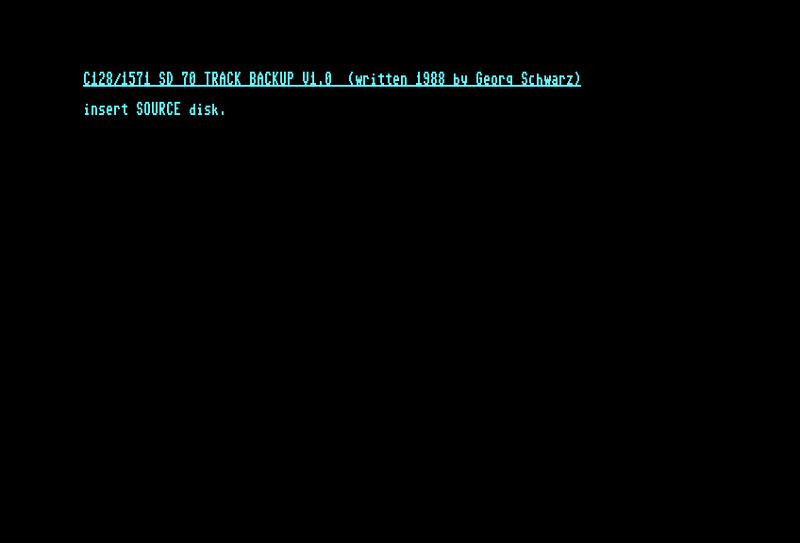 Worthy of any copier collection. 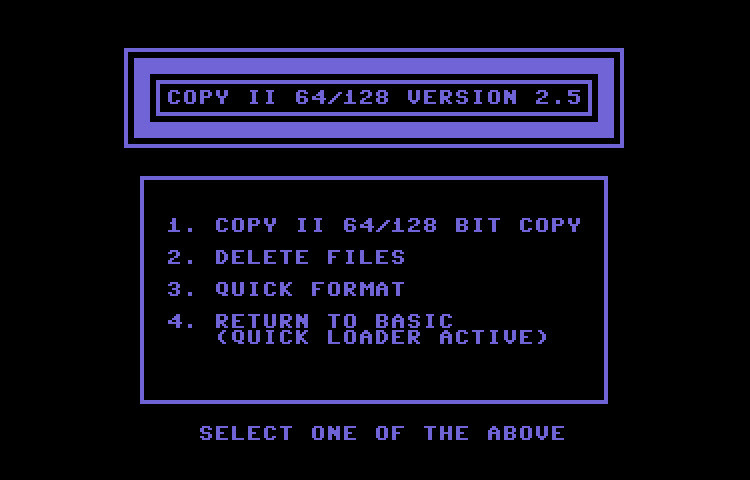 CFB's 20-Second Copier v3.0 is a simple dual drive copier which likely has no provision for handling copy protection of any kind. 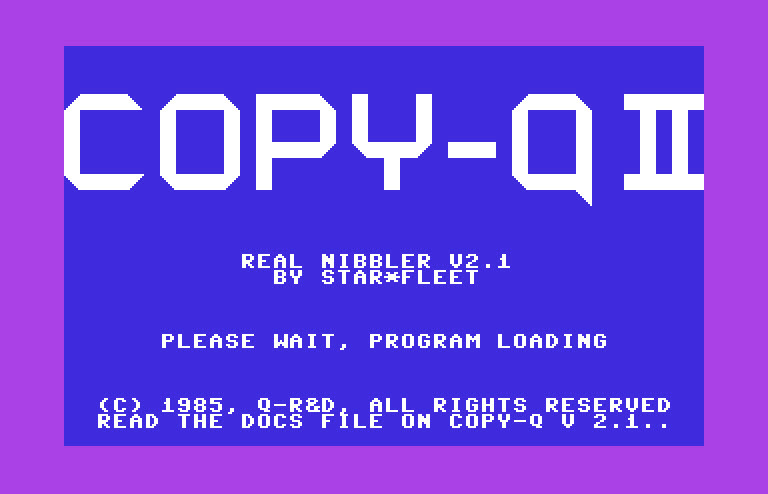 There used to be a really good disk nibbler called Copy-Q, but I don't think this is it. 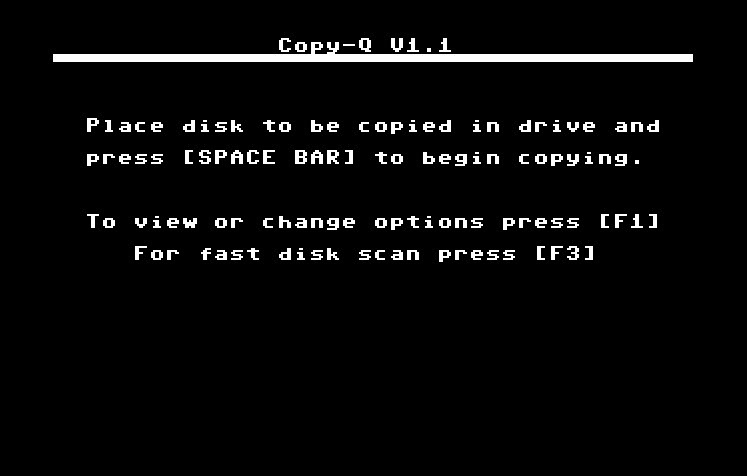 Although, this does appear to be a nice full disk copier, it doesn't have much in the way of nibbler options.